While the original iPhone was a hit, some would say the success came when Apple offered the App Store – a one-stop shop for everything from games to to-do applications. The Newton never had such a place. 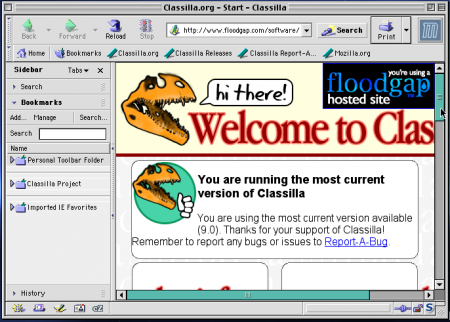 In the ’90s, if you wanted a Newton app, you could either get it in a box, or as shareware, with some software developers offering their wares on the web. But there was no encyclopedic interface for app shopping. 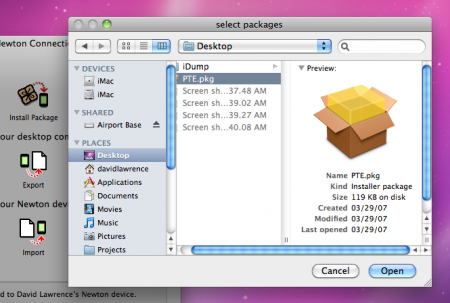 In later years, however, the United Network of Newton Archives (UNNA) has served as a modern day app store for Newton owners. 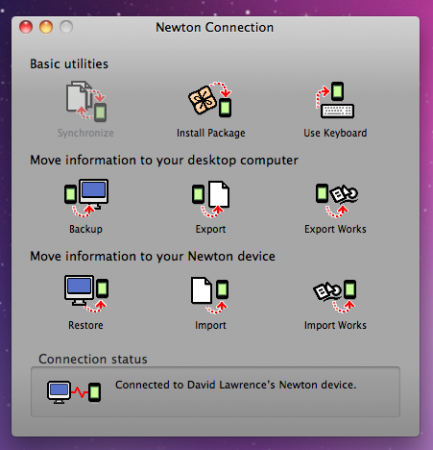 Here you’ll find most of the available Newton apps in one easy-to-browse site (complete with eWorld icons). It’s an organized database that makes finding an app easy. Instead of hunting down an obscure app, you can visit UNNA and probably find what you need. 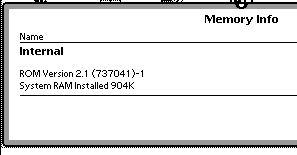 There are other sources for Newton software, sure. 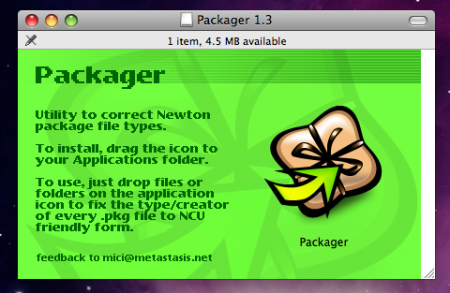 But UNNA offers the most App Store-like interface for Newton apps. That got me thinking. With all the comparison between the rumored tablet and the MessagePad, how closely could UNNA offerings match what Apple’s App Store offers? Discounting iPhone social media, photo, or video apps, where do UNNA and the App Store reach agreement? More simply, what can you find in the App Store that you can also find in the Newton app world? Interested in mapping our your biorhythm cycles? 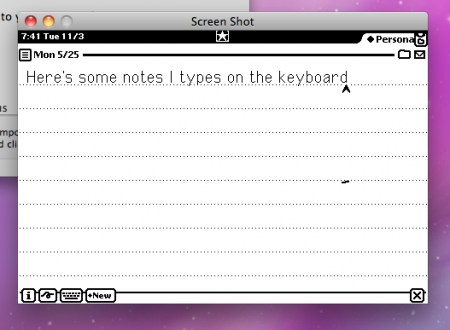 You shop around on the App Store, or you could check out NewtORhythm for your MessagePad or eMate. 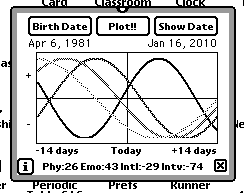 These apps are for plotting your physical, intellectual, and emotional…uh…potency (?) on any given day based on your birthdate. NewtORhythm would be more helpful if it labeled the plot lines (or if the Newton could handle color), but you get what you get. The App Store offers plenty of GPS apps, now that iPhones contain a GPS receiver, but so can the Newton with a few add-ons. 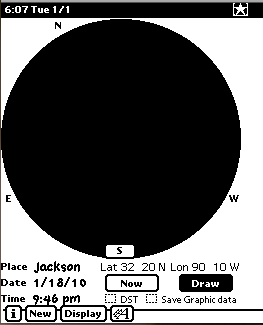 App-wise, look for GPSView, a landscape-only app that works with a DeLORME Tripmate. For musicians, the App Store offers everything from metronomes to chromatic tuners. On the Newton, you need a good ear for Guitar Tuner, a “Simple wave based guitar tuner that plays individual samples of a guitar in standard EADGBe tuning.” No fancy dropped-D tuning, but if you want to tune a guitar you haven’t touched in a while (I’m guilty of this), Guitar Tuner is a useful app. The App Store has no shortage of list management apps, including grocery list apps that help organize your next trip to the supermarket. 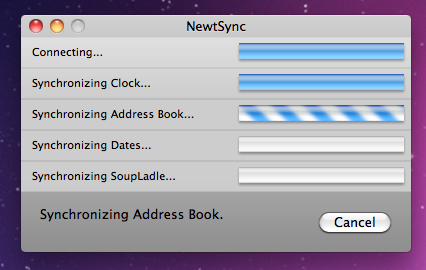 The Newton comes with its own default to-do list app, but for food you can use Newt Grocery. There are other list management apps, like the (originally-named) Lists, so you can find something you prefer. For the weekend chemist, the App Store features plenty of affordable periodic table apps (and games) to satisfy your inner iodine. 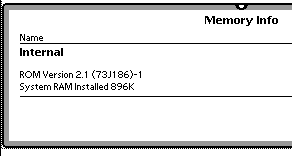 Periodic Table for Newton OS 1.x devices. Parlais Parlez vous Francais? Non? iPhone language translator apps are great for traveling overseas or in your nearest city’s Chinatown. The Newton has Power Translator, with 60,000 words in English, Spanish, German, French and Italian. You can even add and alter words in Power Translator’s dictionary – great for foreign language students looking for a more colorful vocabulary. For fitness training or food eating competitions, you can pay $0.99 for a stop watch app on the App Store, or you can use the free and super-simple SmallTime (above) – an app so small I almost didn’t spot it. To start the timer, simple tap the little circle with your stylus and the countdown begins. That’s it. Nothing fancy. And speaking of fitness, the Newton offers a few exercise apps to get your New Year’s resolutions off to a good start. Night sky gazers have a wealth of apps to choose from through iTunes. If all you need is a simple star chart, the Newton’s StarChart. 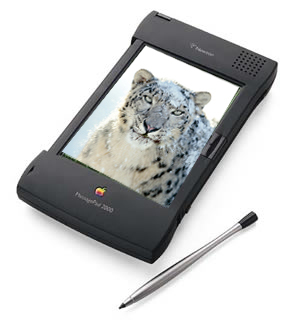 The iPhone is the perfect personal information management (PIM) tool, but before the iPhone, the Newton carried Apple’s PIM title with all kinds of apps. And if you need the simplest of simple tools, the iPhone can help with flashlight apps. So can the Newton if pointed in the right direction. Feel like having some fun? The iPhone has become a competitive mobile gaming device. 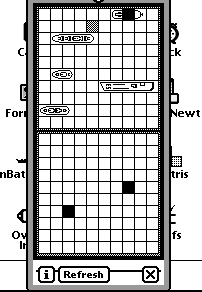 Back in the day, however, the Newton had its own selection of fun, monochrome gaming titles – like nBattleship (above). 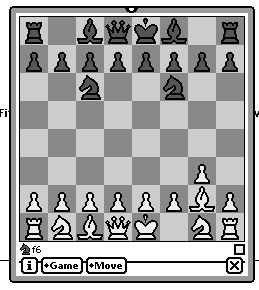 Some games, like the Newton’s Deep Green chess app, made a successful transition to the iPhone. There are a ton of other examples, from Newton system utilities to apps for getting online and getting some work done, where UNNA mirrors the App Store – even if UNNA offers neither the breadth nor depth of available software. On the other hand, the openness and flexibility of Newton developers, plus the lack of an approval process from Apple, leaves the doors of the Newton app world wide open. 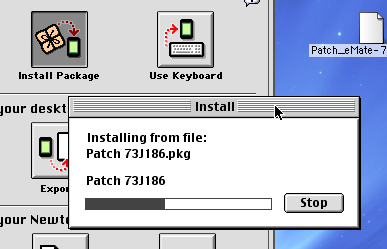 Here we are, more than a decade after Apple killed off the Newton, and smart people are still developing software for the MessagePad. 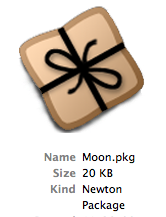 No app store makes Newton software harder to find, but at least it’s still there to discover. 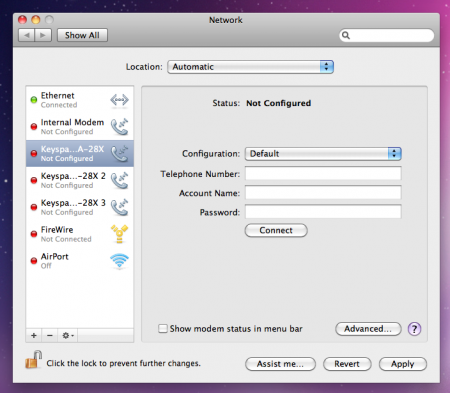 Apple can’t leave the latest version of NCX floating in approval process limbo. 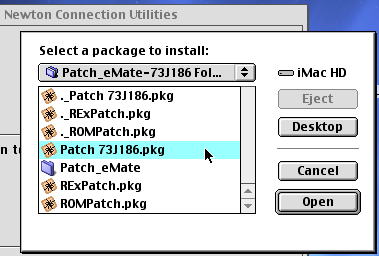 Minus a jailbrake, will that be possible after the iPhone is gone? Posted by davelawrence8 at 6:39 am on January 21st, 2010. 7 comments... » Categories: itunes, software. 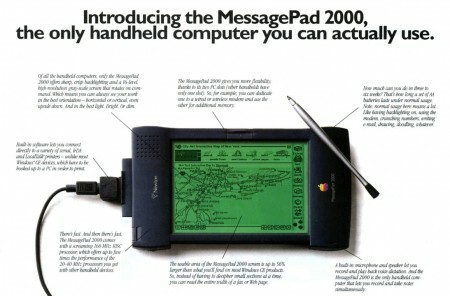 Tags: app store, apple, eMate, itunes, messagepad, newton, UNNA. Subscribe via RSS. The secret is, you have to have a jailbroken iPhone and a few connectors (details at the namedfork.net source page), but man – look at that thing in action. Lots of luck to anyone who tries it. Posted by davelawrence8 at 5:41 pm on December 1st, 2009. 2 comments... » Categories: ipod/iphone, software. 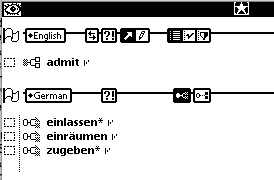 Tags: app, apple, iphone, keyboard, messagepad, namedfork, newton, serial, twitter. Subscribe via RSS. I love how Google Chrome’s icons are a throwback to Susan Kare’s classic Macintosh icons. 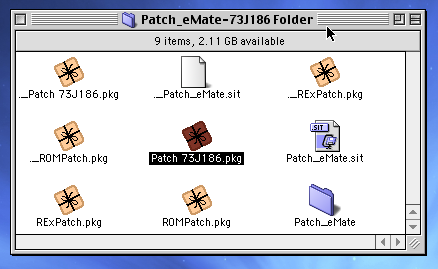 This is the only one I’ve seen, but there are others that mimic the Sad Mac icon, too. Posted by davelawrence8 at 6:38 am on November 3rd, 2009. 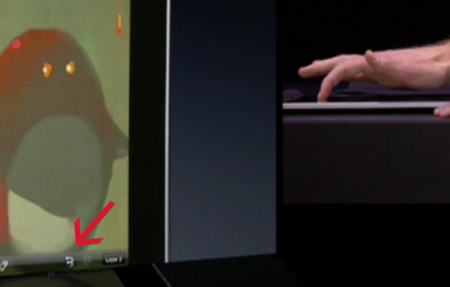 2 comments... » Categories: macs, software. Tags: google chrome, icons, mac, macintosh, susan kare. Subscribe via RSS.